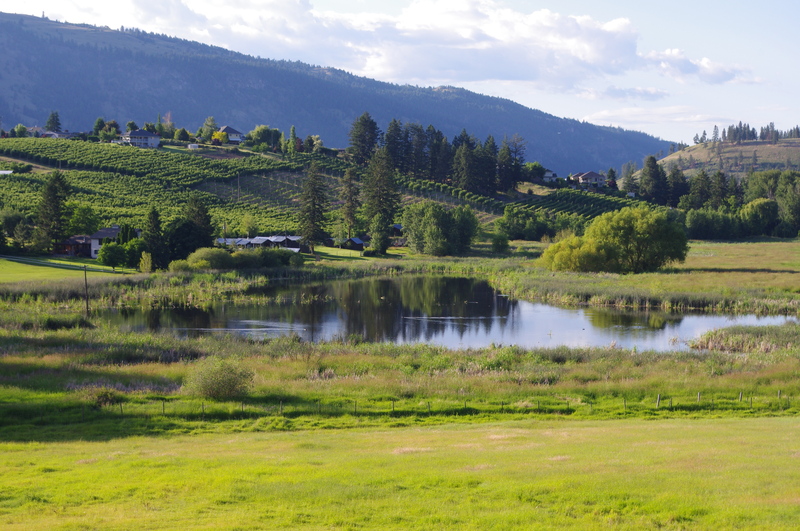 A long-standing Okanagan family has donated two parcels of marshland to Ducks Unlimited Canada, ensuring their wetland values will be maintained for wildlife in perpetuity. The Young and Lloyd families, which settled in Oyama in the early days of the community’s establishment more than a century ago, were granted the parcels in the 1930’s, when a period of severe drought extending across the country saw the wetland sufficiently dried out to allow it to be farmed. The rich land was cultivated in oats and potatoes, and cattle were driven to and from their summer grazing lands along the wetland’s edge. The two families were eventually joined through marriage, and the Young family continued to reside next to the marsh. By the time Joyce Young, now age 96, married Richard Young in the summer of 1950, wetter conditions had returned, and the marsh was again prolific with wildlife. 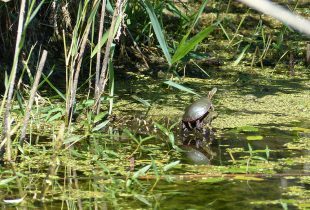 Joyce has spent decades watching the goings-on of painted turtles, great blue herons, red-winged and yellow-headed blackbirds, ring-necked pheasants, and a variety of snakes, frogs and waterfowl that have made their homes in and around the marsh over the years. 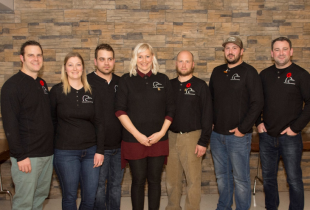 Her children and grandchildren learned to skate on the wetland, known locally as Marsh Lake. 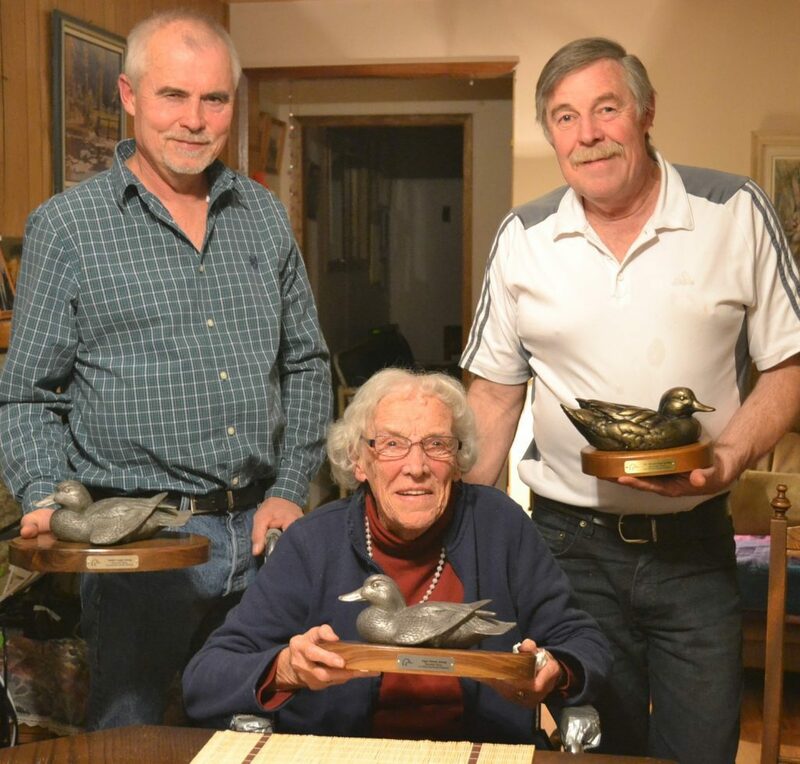 Recognizing the wetland’s importance to wildlife and concerned about the ongoing loss of wetland habitat in the Okanagan valley, Joyce and her two sons, David and Robert Young, made the joint decision to donate their marshland to Ducks Unlimited Canada (DUC) to safeguard its future. 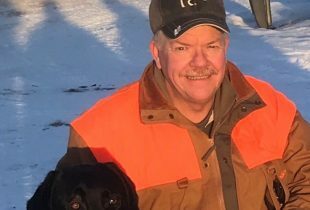 David Young, who had donated an adjacent land parcel to DUC in 2008 and was satisfied with both the organization’s management of the land and the tax benefits he received as a result of the donation, contacted DUC in the spring of 2014 to get the ball rolling. After property appraisals and biological and land surveys were completed, the land titles were finally transferred earlier this year. Although DUC largely intends to preserve the wetland in its current condition, in late October an exciting change occurred at the site as DUC restored a grassy area alongside the wetland to native riparian vegetation. Wildlife populations in the area will benefit from the addition of prickly rose, snowberry, willow, dogwood and other shrubs planted along the wetland edge.